We live in a world in which social divisions are widening not lessening. It is my belief that community development and commitment to social justice and sustainability requires an understanding of how power works at every level. A few years ago my interest in this dynamic was sparked by Warren and Mapp’s brilliant work reported in A Match on Dry Grass: Community Organising as a Catalyst for School Reform. The authors locate the problems of public education in the US as grounded in unequal power relations in a socially and economically stratified society. Contextually different to the UK, maybe, but what can we learn from descriptions and analysis of ‘active participation’ in works such as Warren and Mapp’s? 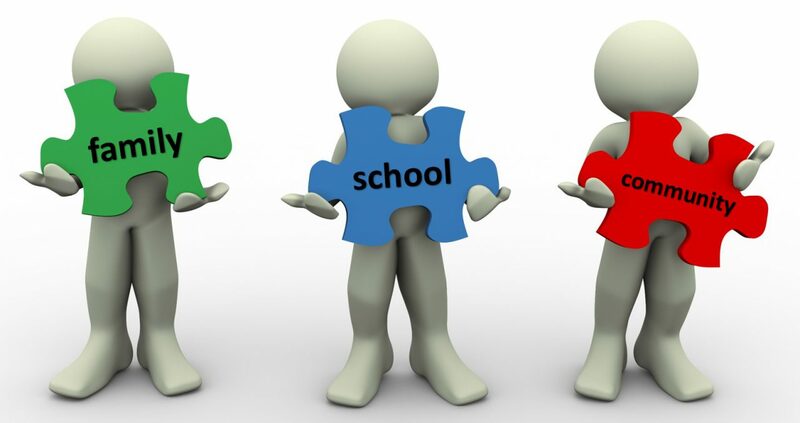 The focus of this particular blog post is communal and relational leadership and an understanding of how that might be exercised to impact home-school-community partnership building. Writing in 1887, the German sociologist Ferdinand Tönnies introduced the terms gemeinschaft (community) and gesellschaft (society) in highlighting and examining the shift away from a vision of life as sacred community and toward a more secular society. The transition from a hunting and gathering society to an agricultural society, and then on to an industrial society, he says, have seen community values replaced by contractual ones. In 1992, Sergiovanni argued for a change in our theory of schooling and the extraction of modern day schools from the gesellschaft camp. Not advocating a polar swing, rather, ‘to build gemeinschaft within gesellschaft’. That, in order to revive a sense of common membership; community of kinship, of place, and of mind. A mutual binding to a common goal and shared set of values. My interest is how schools might cultivate relationships with families and local community in order that such an authentic sense of community be invoked. Blau and Scott (1962) say that communities are socially organised around relationships and the felt interdependencies that nurture them. I have an interest in social interactions across the school community and how the building of relational trust might address issues around relational power. Bryk and Schneider (1996) task leaders with taking actions that reduce parents’ sense of vulnerability in social interactions that take place in and around school. They see trust very much as a precondition for authentic participation in partnerships. Relational trust is based on perceived respect, competence, integrity, and personal regard for others, and depends on reciprocity. Need we think then on the nature of social interactions taking place in and around the school community and problematize the case for authentic partnership? Modern day schools operate in a high stakes, ‘standards’ driven domain. School leaders are held accountable in a way they never have been before. School leaders also have a direct influence on shaping a school climate of trust and belonging. What is it that relational leadership has to offer a vision that is based on empowerment of others? One in which leadership lies not in the position given, but in the position taken (Foster, 1986). Should we, therefore, focus on forms of communal leadership and how that might advance understanding of the position school leaders might take, accepting that school leaders do have a direct influence on shaping a school climate of trust and belonging through “boundary-spanning interactions” with families and local community (Adams et al.,2009). Authentic partnerships are respectful alliances among educators, families and community groups that value relationship building, dialogue across difference, and sharing power in pursuit of a common purpose in socially just, democratic schools. ‘If unilateral power emphasises power “over”, relational power emphasises power “with” others, or building the power to accomplish common aims’. What is meant by partnerships between parents and professionals? Carol Vincent problematizes the term partnership. In common parlance, a partnership means a relationship of cooperation, shared responsibility, mutual benefit, and voluntary participation. Vincent suggests that in education, it is a “diffuse concept” meant to “invoke a warm glow of equality and joint endeavor” (Vincent, 1996, p. 466), as seen in school mission statements that reference it. It is defined by the participants in the very process of pursuing it. It is their negotiated response to their situation and thus belongs to them in a profound sense, in spite of all the forces and influences that are beyond their control. Wenger postulates that education in its deepest sense concerns the opening of identities, ‘exploring new ways of being that lie beyond our current state’. If professionals and parents are to bring about change then, I believe, a new way of being so far as home-school-community partnership is concerned must prevail. Adams, C.M., Forsyth, P.B., & Mitchell, R.M. (2009) The formation of parent-trust: A multilevel analysis, Educational Administration Quarterly, 45(4). p.4-33. Bryk, A. S. and Schneider, B (1996) Social trust: A moral resource for school improvement. Chicago: Consortium on Chicago School Research. Bryk, A. S., Bender Sebring, P., Allensworth, E., Luppescu, S. and Eatson, J. Q. (2010) Organising Schools for Improvement: Lessons from Chicago, Chicago: The University of Chicago Press. Sergiovanni, T.J. (1994) Building Community in Schools, San Francisco: Jossey-Bass. Vincent, C. (1996) Parental empowerment? Collective action and inaction in education, Oxford Review of Education, 22(4), p.4656-4682. Wenger, E. (1998) Communities of Practice: Learning, Meaning, and Identity, Cambridge: CUP.